You can place most investments, real estate, cash and valuables into a trust, but property registered in your own name must be transferred into the name of the trust. For real estate, this means executing a new deed naming the trust as the new owner. This can cause some complications for any title insurance policy you have on the property, as the title company may not recognize a trust as a true "successor in interest" to the property. In addition, you must choose the proper type of deed -- either a warranty (which guarantees your title to the property) or quitclaim (which simply surrenders your interest in the property). A trust does not allow you to avoid income taxes, either as the grantor or the beneficiary. If you receive any income from trust assets, it must be reported to the IRS. In some cases, the trust itself must file an annual return and make estimated annual tax payments. Also keep in mind that tax-advantaged retirement accounts such as IRAs generally cannot be moved into a trust; they must remain your individual property, although someone else's IRA can receive trust assets. Transferring business interests into a trust can raise some issues. If you operate a sole proprietorship or own a partnership share, transferring the interest to the trust should be straightforward. However, corporate bylaws or partnership agreements may restrict your right to change title on your shares. The trust should have very specific language on how the business will be transferred to the beneficiaries. In addition, if you've named someone else as a trustee, you must carefully consider the trustee's authority as far as the business is concerned. Naming a beneficiary may seem like a simple process, but trust grantors must consider myriad possibilities surrounding the proper distribution of trust assets. You can name primary, secondary and contingent beneficiaries; a revocable trust allows you to change beneficiaries at will, but an irrevocable trust restricts that right. 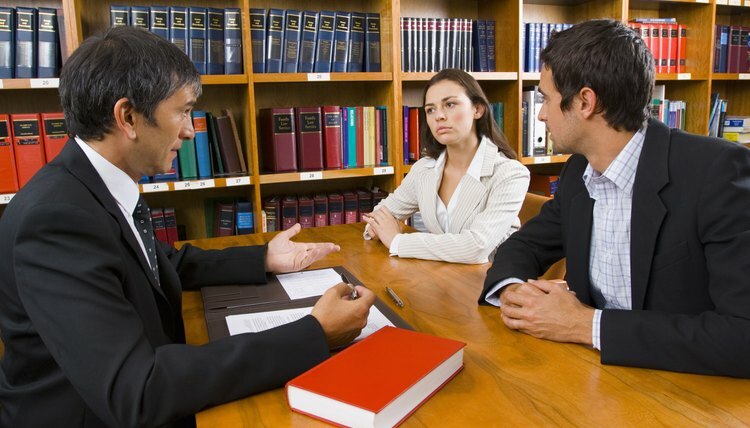 The instructions on distribution of assets must be precise to remove ambiguity that may result in a legal dispute -- and, in the worst case, court and attorney's costs. Minor beneficiaries also pose a problem; minors cannot hold legal title to property, and you must name a guardian or custodian to receive real estate and other assets that you intend to pass to a minor. All states permit business owners to use a DBA -- "doing business as" name -- regardless of whether the owner is an individual, limited liability company or corporation. Sometimes referred to as an assumed name, trade name or fictitious business name, the DBA is not the legal name of the business. When an important legal document, such as a deed of trust, needs to be signed by a business operating as a corporation, the legal name of the corporation must be used on the document. What Are the Benefits of an S Corporation Vs. a Family Trust? Many families consider placing some of their personal assets into a separate legal entity as part of their estate planning. Surrendering ownership of property would exempt those assets from the prior owner's probate estate. When the original owner dies, those assets can be distributed to his chosen beneficiaries without being delayed by probate. If done correctly, you can surrender ownership of the property but can continue to use the assets for the rest of your life. Two legal entities that families can use for this purpose are trusts and S corporations. Trusts and corporations are regulated by state law, so the processes for starting a trust and incorporating may vary.